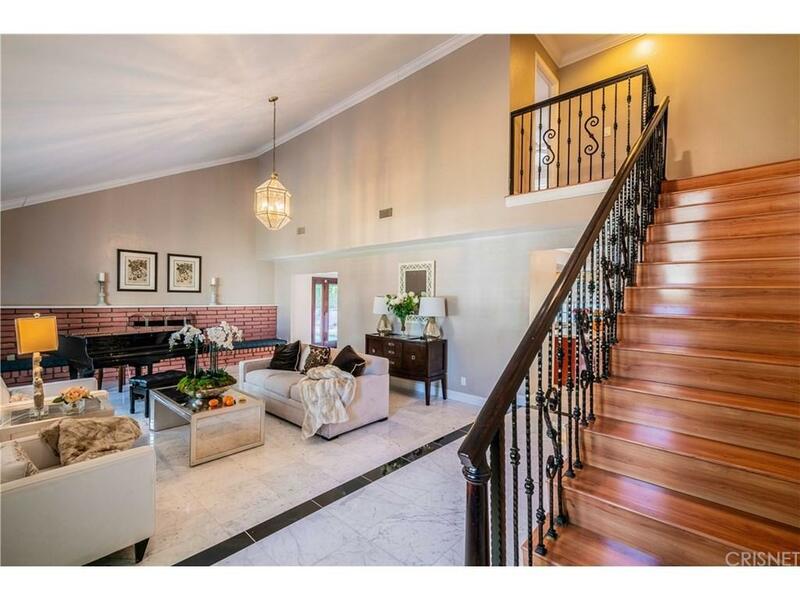 Amazing Calabasas home! Don't miss this remodeled (3108 sq ft per assessor) 4 bedroom, 3 bath home with huge bonus/office/media room. 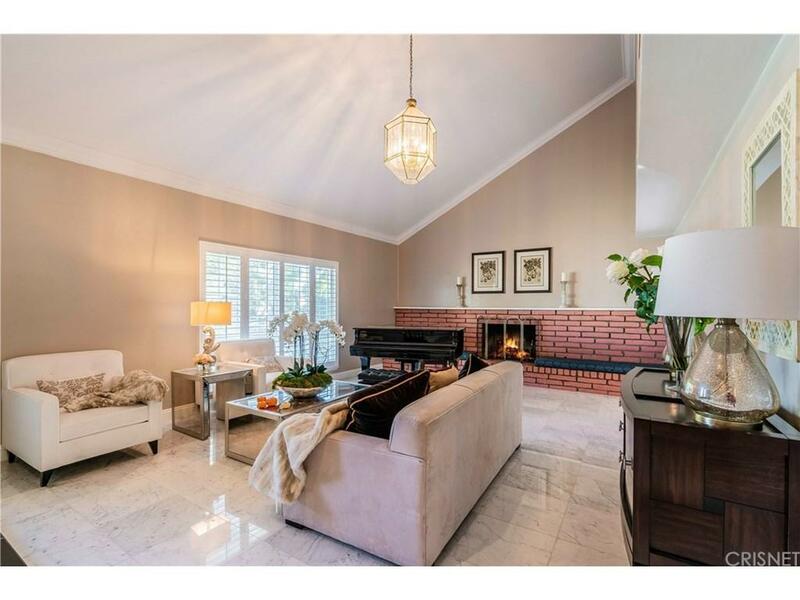 Features include: remodeled granite kitchen, spacious family room with crown moldings, grand living room with volume ceiling and used brick wood burning fireplace. Host holiday or dinner parties in the adjacent formal dining room. Enjoy the huge master bedroom with remodeled master bath featuring dual sink vanity, frame-less shower stall and walk-in closets. 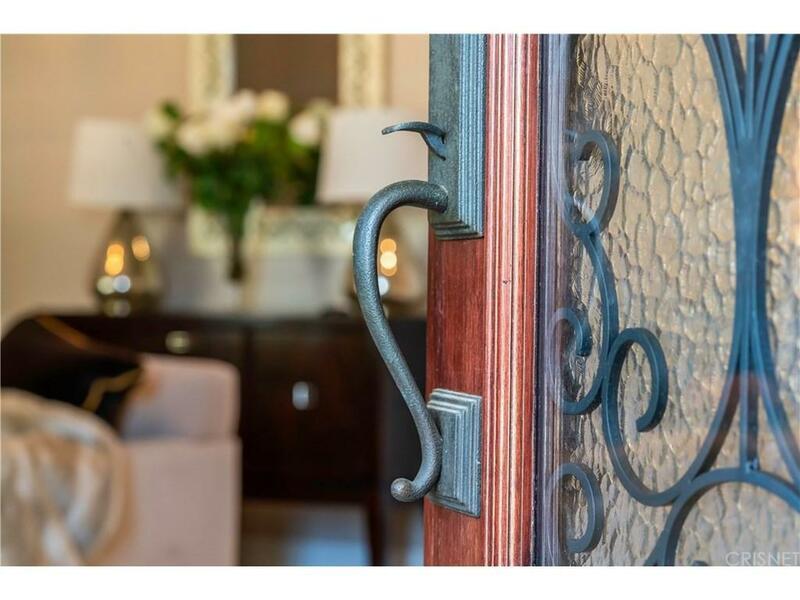 Additional upgrades are the beautiful double entry front doors, newer dual pane wood French doors, recessed lighting, plantation shutters, and a handsome wrought iron banister. Attached 3 car garage. This home also boasts a (18,436 sq ft lot per assessor) private yard with newly re-plastered pool with gray slate-stone trim (new pool equipment too). New front landscaping, sod, and sprinkler system. Energy efficient home with owner-owned solar system and newer power panel. The neighborhood is serviced by the desirable Las Virgenes School district. Ideally located near hiking & biking trails, and a short drive to Malibu Beach and Pepperdine University. 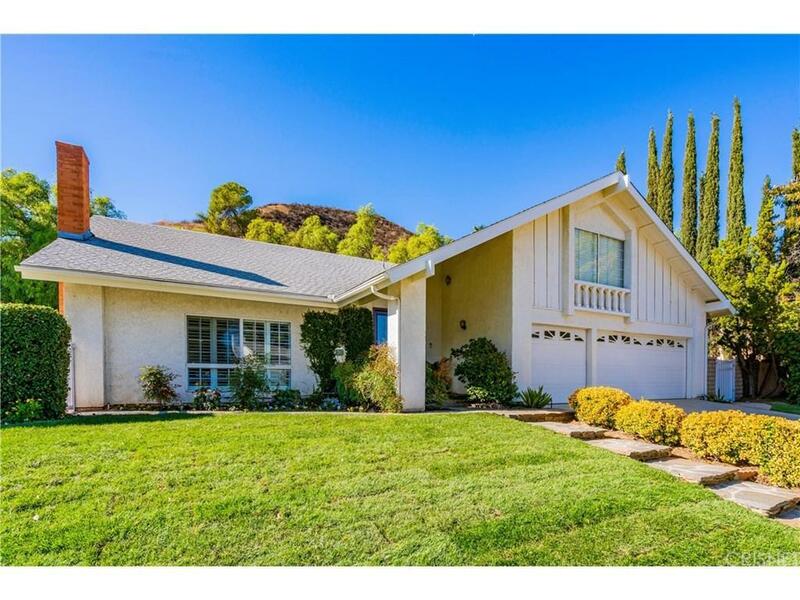 Sold by Charlene Mchugh BRE#01162943 of Berkshire Hathaway Homeservice.